Chelsea Old Church, also known as All Saints, dates from 1157. Henry VIII is said to have married his third wife Jane Seymour in this ancient church, soon after the execution of Anne Boleyn, and before their state wedding. Severely damaged during World War II and rebuilt after 1945, the square-towered church does not look old from the outside. However, a glance at early prints reveals that the church is a carefully built replica of the medieval church destroyed in the Blitz. Although somewhat cluttered, the interior of Chelsea Old Church has some interesting features. The south chapel was built by Sir Thomas More in 1528 for his own private worship. More's latin inscription here asks that he may be buried next to his wife. Other Tudor memorials include a chapel built in memory of Sir Thomas Lawrence, an Elizabethan merchant. Eminent local families also represented here. A 17th century monument marks the resting place of Lady Jane Cheyne, whose husband gave his name to Cheyne Walk. The American novelist Henry James (1843 - 1916) mostly lived in England and has a memorial at Chelsea Old Church. The church contains the only chained books in a London church. These were given by Sir Hans Sloane, whose monument can be seen in the churchyard. In the garden outside the church is a statue of Sir Thomas More, who sits looking out over the Thames. 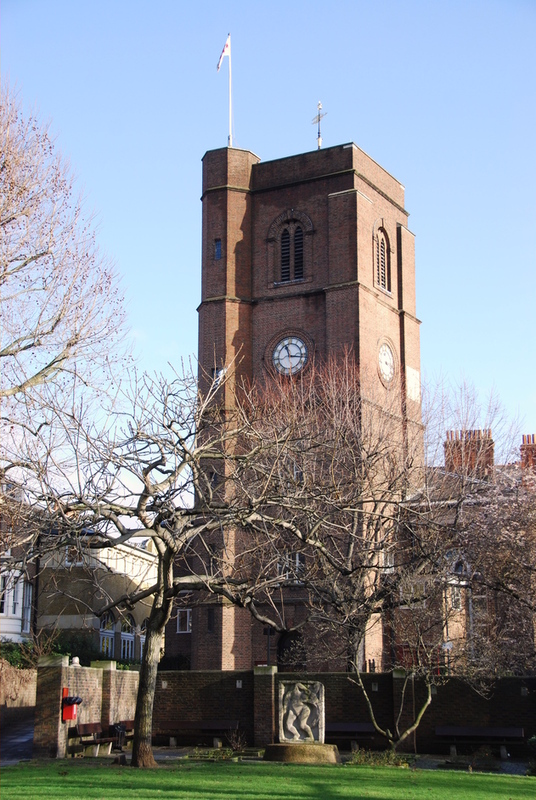 What are the best dining options near Chelsea Old Church London? Chelsea Old Church gyms, sporting activities, health & beauty and fitness. The best pubs near London Chelsea Old Church. Chelsea Old Church clubs, bars, cabaret nights, casinos and interesting nightlife. Where to have your meeting, conference, exhibition, private dining or training course near Chelsea Old Church. From cheap budget accommodation to luxury 5 star hotels see our deals for Chelsea Old Church hotels, including My Chelsea London from 75% off.